Nadia Nakai launched her sunglasses at Bloemfontein last Friday. This is the second partnership with retail brand Sportscene. Last year, the Naa Meaan hitmaker released a range with RedBat that was available nationwide at Sportscene. I love you and your continued support!!! Its so hard to not just whisper in your ear and tell YOU when my album is dropping! Cos you always ask!?????? lol!! I LOVE YOU! ?? Khanya Mkangisa looked all types of cute in a tweed plaid two-piece while she emceed at the launch of the new @ponds_sa’s Serum Masks. Precious Thamaga, the founder of Precious Celebrations wed her love, Sifiso Mazibuko, managing and creative director of Master Suit SA, in a Sepedi traditional wedding celebration. The couple announced their engagement on Instagram in May 2018. Congratulations Mr and Mrs Mazibuko. The style and beauty influencer finally received her degree this past weekend, after she had deregistered in 2012. She’s been very vocal about how much of a failure she felt for not completing her studies, “When I deregistered in 2012 while studying for my BSc degree at Wits, the university admin asked for my student card and cut it up into pieces right in front of me. That symbolised something so powerful within me – how I was such a failure, giving up on myself and quitting on my dreams,” she wrote on Twitter last year, before her final exam. JAY-Z was honoured with the President’s Award during the 50th NAACP Image Awards on Saturday. “But for us, at this critical time in our history, he has become a driving force as a founding partner of the reform new initiative dedicated to changing the unfair and unjust laws for the millions of Americans currently on parole and probation,” NAACP president Derrick Johnson introduction of the recipient, HOV. Past receipts of this award are Jesse Jackson, Lauryn Hill, Soledad O’Brien, Colin Powell, Condoleezza Rice, and Muhammad Ali. Beyonce then won Entertainer of the Year later on. Instead of the traditional thank you speech, Queen B chose to celebrate her fellow nominees: LeBron James, Ryan Coogler, Regina King and Chadwick Boseman. 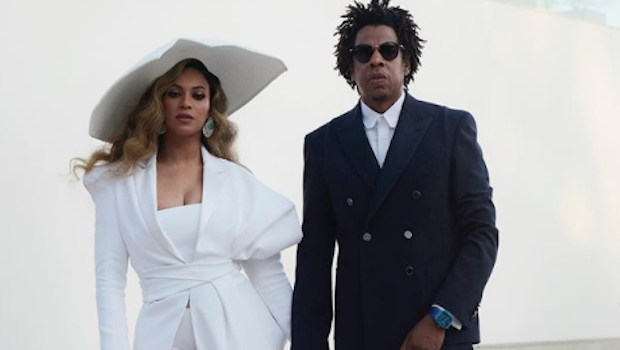 Earlier in the week, the Carters were honoured with the Vanguard award at the 30th Annual GLAAD Media Awards as recognition from the LGBTQ+ organisation for their continued support of the community.